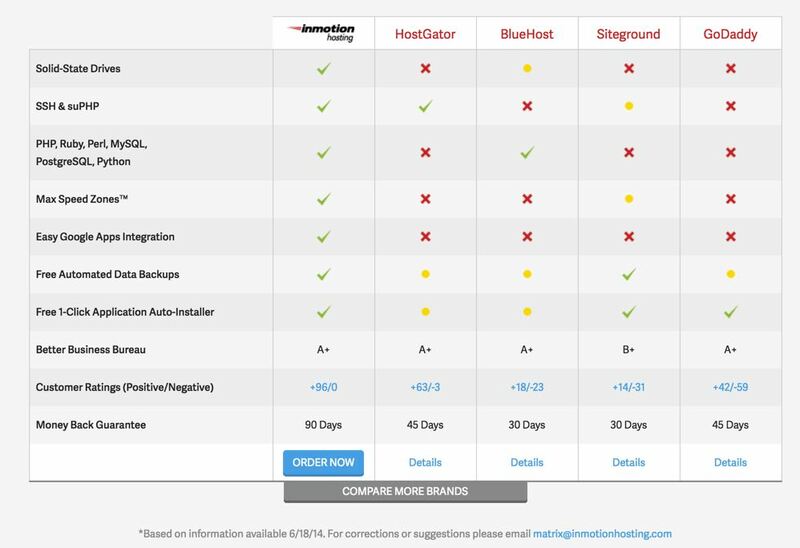 Plans range from $5.99 per month to $13.99 per month for InMotion’s WordPress hosting plans. Note that these are shared hosting plans, so you won’t have the customization, security and resources of a VPS plan. Uptime: InMotion claims a 99.9% uptime rating, which makes them very reliable in that regard. Site Response Time: Speed primarily depends on what sort of content you’re delivering, what types of plugins you’re using and similar factors. Backups: InMotion Hosting runs automatic backups on all sites that are less than 10GB. These backups run for emergency purposes approximately every 24 to 36 hours. 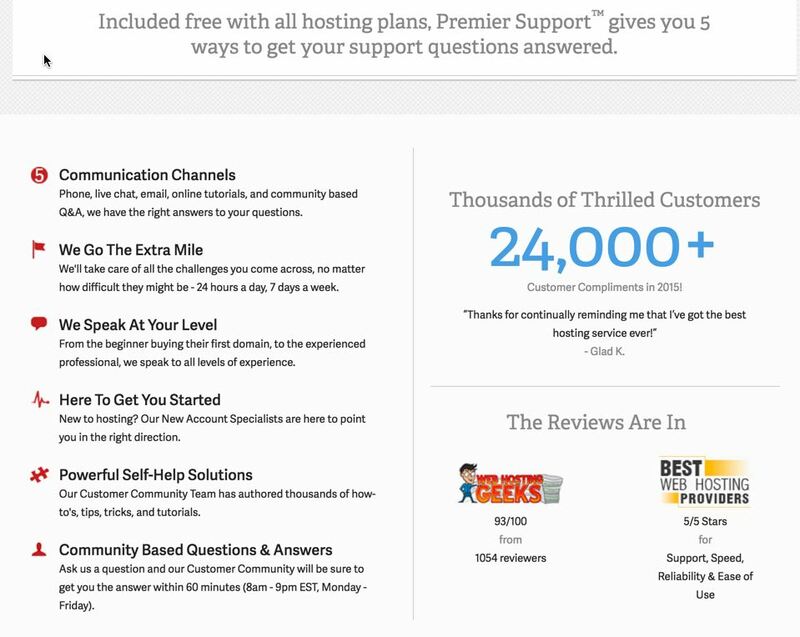 Support: This company offers a variety of support options, including Skype, live chat, email, help desk and forum. However, certain Premium options are only available when you purchase a Pro plan. NOTE: We checked availability at 3:00am Central Standard Time, and InMotion Hosting’s live chat was offline. Hardware Specs: InMotion uses SSD drives for their WordPress hosting, as well as all their other plans. This feature is included at no extra charge. Both monthly disk space and bandwidth are unlimited. Software Specs: You can access your account using cPanel. One-Click Install WordPress: Yes, this is available. You can also request to set up your WordPress blog during the checkout process. You get a free domain with your webhosting contract. 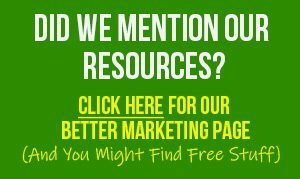 There is a free website builder available. The fast SSD is the default hardware and is offered across plans. 24/7 tech support is available (though note that we found live support was offline in the middle of the night). WP-CLI is available, which means you can do some WordPress configurations and plugin installs without the need for a web browser. InMotion Hosting offers a variety of plans and features for all budgets. 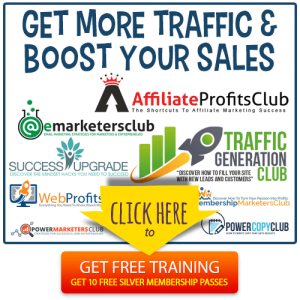 So while any blogger can use it, it’s particularly attractive to beginners or those who have a small budget. That’s because you get a lot of bang for your buck, especially when compared to other hosts. Good bang for the buck. 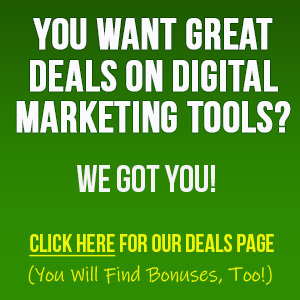 You get a lot of features at relatively low prices. It’s not true managed WordPress hosting, so you’ll need to look elsewhere if that’s what you wanted. However, it shares a lot of the features of managed WP hosting, such as the installation at checkout. 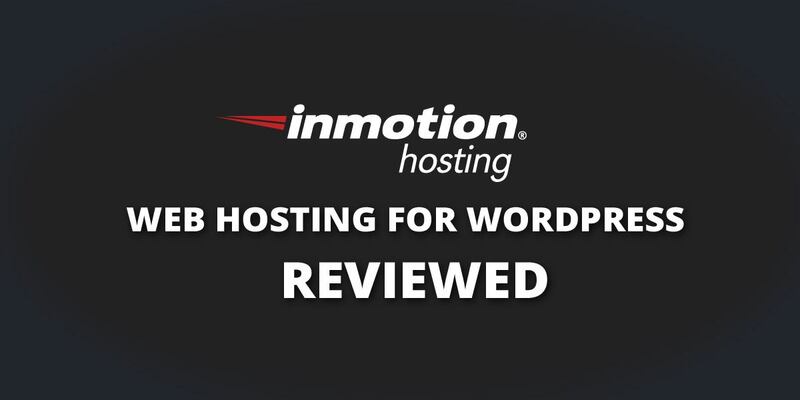 InMotion Hosting is not just for WordPress. They offer Shared Hosting, Reseller Hosting, VPS Hosting and Dedicated Servers. If you’d like to learn more about InMotion’s variety of plans, features and prices, check them out by clicking the button below.